If you’re looking for a simple and effective way to rejuvenate your skin, the experts at EVO Aesthetic Center and Wellness Spa can help. At this boutique practice in Lakeway, Texas, EVO Aesthetic Center offers dermaplaning, a new method of fighting the signs of aging and giving you healthy, radiant skin. Call or book an appointment online today to learn more. Dermaplaning is a popular new skin treatment that exfoliates and cleanses your skin, giving you a refreshed, youthful appearance. During this simple procedure, your aesthetician uses a surgical scalpel to remove the top layer of skin, stimulating the regeneration of new, healthy skin cells. 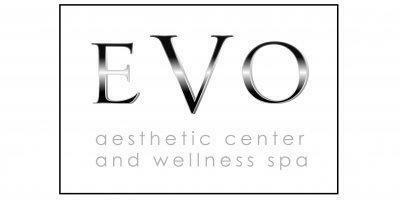 Before your dermaplaning treatment at EVO Aesthetic Center and Wellness Spa cleanses and prepares your face. Then, he carefully scrapes off the topmost layer of dead skin cells along with the fine hairs, or “peach fuzz,” that tend to pop up on the face. By removing the top layer of skin cells, your skin will go to work replacing the lost cells, giving you healthy, fresh-looking skin. Following your dermaplaning treatment, your skin also becomes much more absorbent, making this an opportune time to get other skin therapies, such as an acne or hydrating treatment. You’ll also notice a marked difference in your skin almost immediately after your procedure. Plus, there's no downtime needed after treatment; you can get back to work or your normal activities right away. What can you expect after a dermaplaning treatment? You should notice results immediately after your dermaplaning treatment, and those results should last up to four weeks. You can return for another dermaplaning treatment every 3-4 weeks; since dermaplaning removes old skin cells, you’ll want to wait for your skin to go through its full regeneration cycle -- typically about 30 days -- before your next treatment. Get smoother, softer skin in just 30-40 minutes: Schedule your dermaplaning appointment at EVO Aesthetic Center and Wellness Spa online or by calling the office today.